Fall is among us! Leaves are falling and colors are changing. For us, this means thinking of ways to experiment with the season. There are tons of unique ways to incorporate the season into your event. 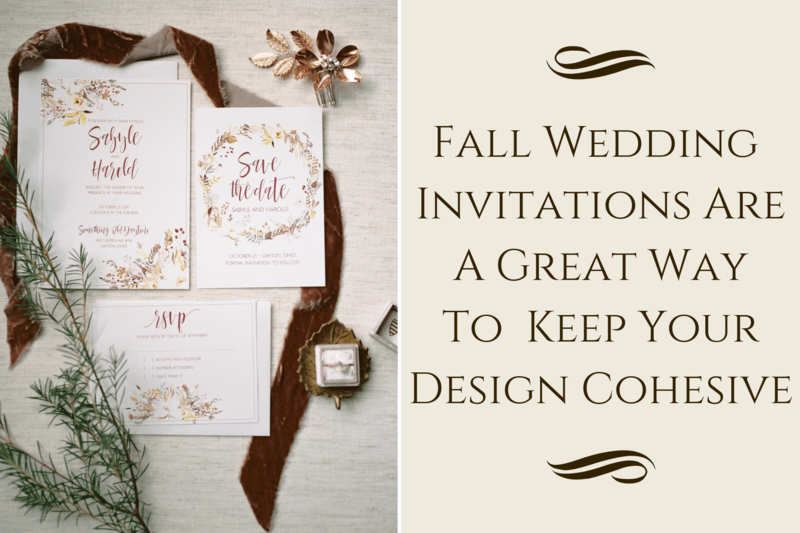 Achieving the perfect fall wedding can be quite the task. While brainstorming the perfect event, we encourage brides to work closely with a professional wedding planner. 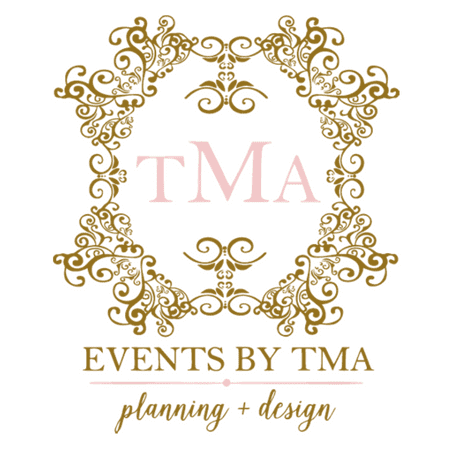 Events by TMA suggest brides start with a theme. Once a theme has been chosen, brides can narrow their choices based on color, venue, flower choice, and décor. In today’s post we will discuss how brides may incorporate a fall theme into their wedding based on color palette and venue. Fall is the perfect season to explore your creativity with color. 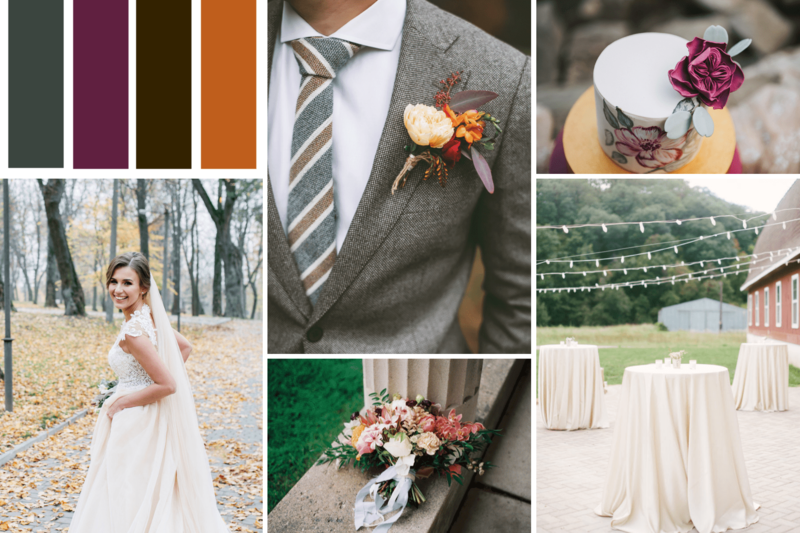 There are multiple ways to incorporate fall colors and create the perfect color palette for your wedding design. Choosing a color palette begins with personal preference. Brides can begin with their favorite color or choose from a variety of hues to achieve their desired fall wedding design. Dark red, vibrant orange, and yellow capture the warmth and beauty of the season quite well. Not your style? Don’t worry, there are dozens of fall colors to capture the feel of the season. Every bride wants to remember where she said “I Do”. After-all, nothing says “cozy” like tying the knot at the perfect fall venue. It is important to express details to your wedding designer as they can outline the perfect venue based on style and location. Mother Nature is among the best during the fall. Crispy leaves washed in orange and red hues, the sun setting, and cool weather. Live somewhere where the leaves don’t change? You can still have the perfect fall ambience. Many orchards, barns, and wineries offer the perfect backdrop for a fall wedding. Brides can become overwhelmed when choosing their fall wedding design. While some brides have a clear vision of their color palette, others may be stuck with an excess of ideas. Hiring a wedding designer offers piece of mind. Brides can freely share their inspiration which allows the design team to be creative and achieve the perfect fall wedding design.